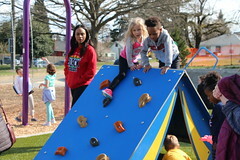 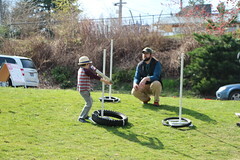 Yesler Terrace Park: Seattle’s newest park offers something for everyone! 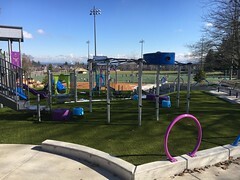 Yesler Terrace Park, Seattle’s newest park, officially opened on Aug. 25 with a community celebration and ribbon cutting ceremony. 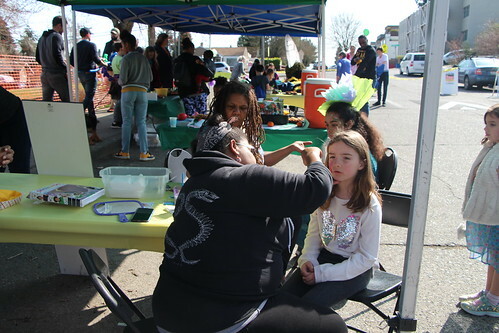 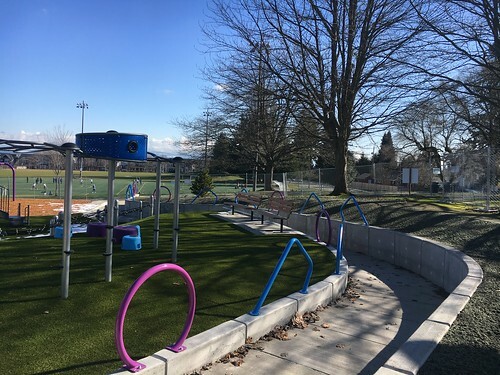 With sweeping views to downtown, Elliott Bay and Mount Rainier, Yesler Terrace Park is located next to the Yesler Community Center and offers something for everyone in its two-acre footprint. 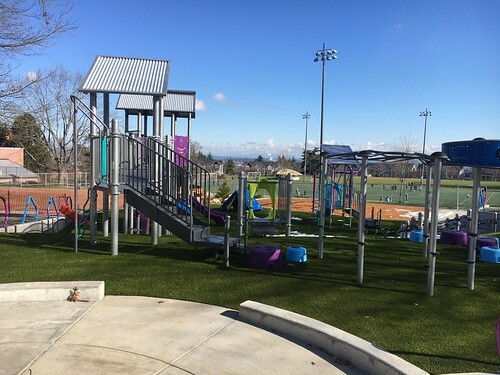 An expansive plaza can accommodate community events and a variety of intimately scaled spaces for gathering and play. Sculptural installations by artist Christine Bourdette celebrate the community’s cultural heritage, and her centerpiece at the central plaza becomes a spraypark during the summer months. 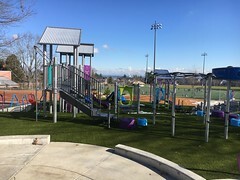 Taking advantage of the site’s topography, the playground below the plaza includes play structures that straddle the grade change, along with a slope for climbing up and sliding down. Active sports amenities include a basketball court and a soccer spot that was developed in partnership with the Seattle Sounder’s RAVE Foundation.